Today was a very sad day. About a week ago harry came up from molding. Lloyd was also molding at the time. I assumed that Lloyd was okay. And I will admit I only had four inch substrate because when I set up the tank I didn't know. This morning I noticed water sitting on the bottom. So as a precaution, I decided to dig Lloyd up. I scratched a little sand off the top of where he was molting, and this really bad smell came up. My dad dug a little more down and there was his shell with two legs in the inside. Harry had been eating him. I am so upset. I am crying as I write this. I thought about burying him, but I decided that the better thing to do was to throw his two remaining legs in th empty lot for the birds. I kept his shell as a memory. I am not going to put it in the tank though. It is Lloyds and it is his forever. I know that I need to get harry some friends, but I am scared he will kill them to. I am a bad person. Thank you for the encouraging words. I think I am going to get one or two more tomorrow. How can I keep humidity without flooding the substrate? Also do I need to isolate them? Im so sorry for your loss buddy! I know what it feels like. 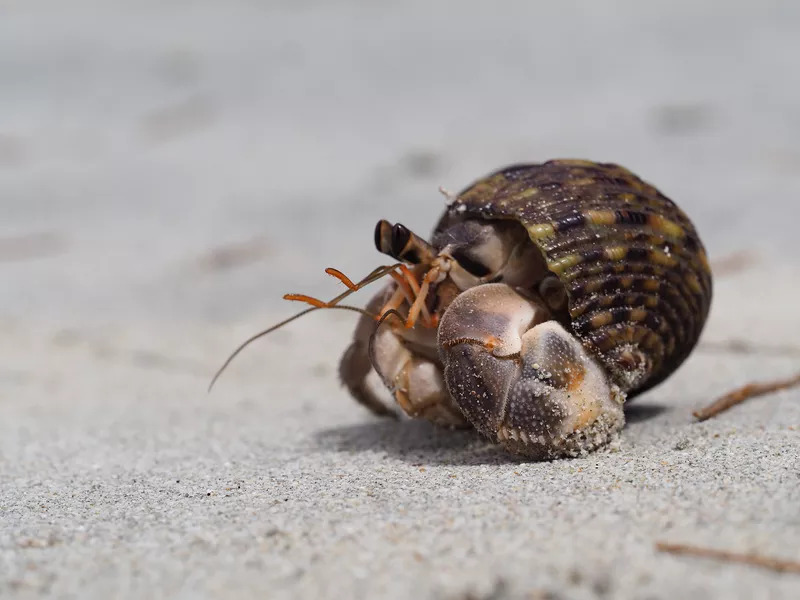 Crabs do not need to be isolated to molt. I can't remember how long you have had your crabs, but it may not have been anything you or Harry did. 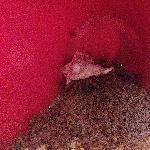 Crabs are not generally in good conditions before we get them (unless adopted from a crabber who has a good set up), and it takes a toll. They sometimes simply don't have enough energy left to complete a molt, or they are suffering from Post Purchase Syndrome. Lloyd may have simply passed away during his molt, not necessarily killed by Harry. I am so sorry for your loss. I know getting new crabby friends doesn’t replace Lloyd but Harry will need a buddy to keep him happy. I think what curlysister said is probably what happened, you are not a bad person. Add some more substrate to make it at least 6” and when you feel up to it get Harry a friend so he isn’t lonely. I think I am going to get him two buddies today. I will love them with all my heart but it will never be the same. It doesn’t sound like you did anything truly wrong, and even if he did actually eat him.... it’s gross and unthinkable to us but it’s so normal to them. And, there’s no way to know, it is possible that is what kept one alive; like, maybe if he hadn’t then they both could’ve? That’s not a positive thought per se. but... we can’t know for sure one way or another either way in any way! I’m sure you will love the new ones, and treasure your memories of him. I’m sorry you had this experience though, it can certainly be depressing. Thank you everyone. Tomorrow I am going to get two new crabs. One is technically going to be my brothers but I will be keeping them in the same tank and doing most the work.